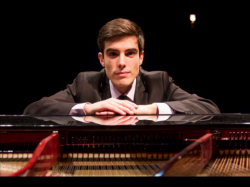 Spanish pianist Mario Ahijado made his concerto debut with RTVE Symphony Orchestra and Andrew Gourlay in 2013. He studied at the Royal College of Music for an Artist Diploma and a Master in Performance under Dina Parakhina as an RCM Award Holder supported by a George Stennett Award, an Olive Rees Prize and a Lee Abbey Award. He received distinction for his Bachelor of Music at the High Conservatory of Badajoz (Spain) with Ángel Sanzo and for his Bachelor of Music in Jazz Piano from the University of Évora (Portugal). 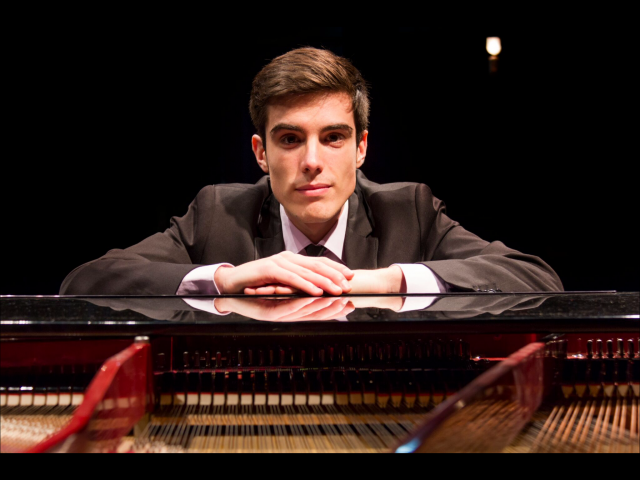 Mario has won prizes including the International Chopin Piano Competition of Granada and First Prize and Best Pianist Prize at the National "Intercentros Melómano" Competition, resulting in invitations from across Spain. He has performed with Medellín Philarmonic Orchestra (Colombia) and Filarmonía Orchestra (Spain), appearing at the Royal Albert Hall (London), the Grand Theatre of Shandong (China), the Auditorio Nacional of Madrid or the Rachmaninov Hall (Moscow). His performances has been broadcast on Spanish National Radio (RNE) and Spanish National Television (RTVE). His personal jazz project, The Chopin nights, brings us original arrangements on Chopin nocturnes for jazz piano trio. Co-director at Hampstead Piano Academy. Easy-going and patient with kids. I have teaching privately for 5 years. I am regularly invited to teach at masterclasses in Spain. MarioFrom Min (5/5): Mario is a wonderful teacher. He's gentle and flexible about the approach. He'a also punctual and accommodating on times. Would recommend him!